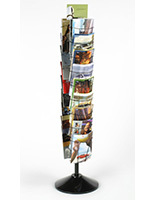 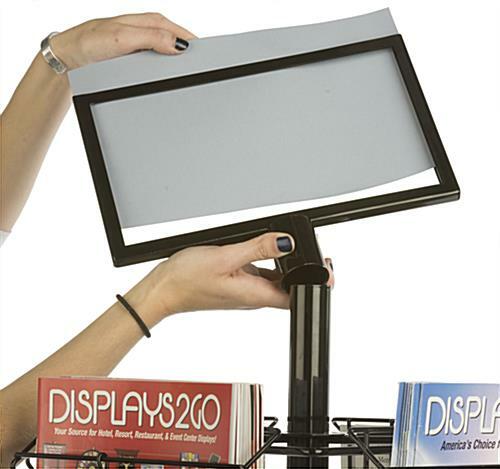 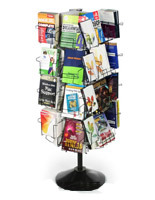 This rotating brochure display w/ sign is a freestanding leaflet holder that also supports magazines. 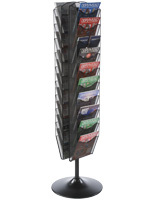 When shopping for pamphlet dispensers with catalog slots, it's a good idea to choose a unit that houses varied publication sizes at the same time. 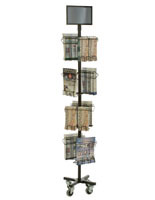 This unit has four tiers and three sides to store periodicals. 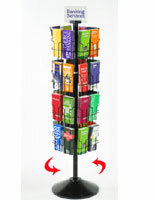 This floor standing brochure holder w/ sign features adjustable pegs to fit a variety of literature into the wire edging. 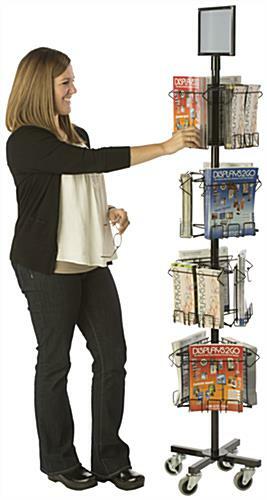 This leaflet display w/ sign with 12-24 compartments can be placed in a lobby or stationery store for 8.5" x 11" and 4" x 9" catalogs. 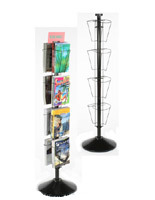 These floor standing magazine dispensers are holders that kill two birds with one stone! 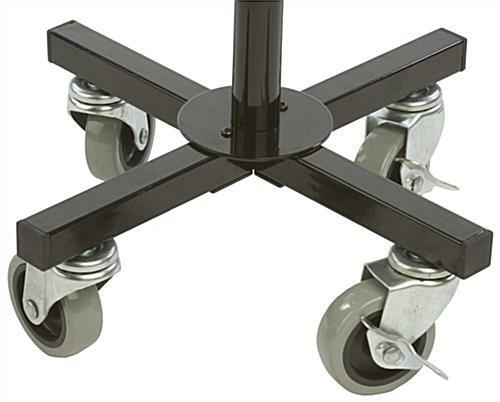 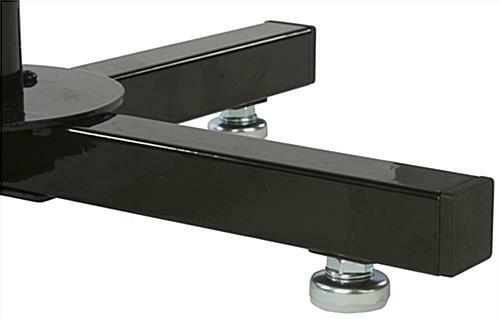 Four base levelers and casters are included in shipment, and two wheels lock to create a stationary pamphlet and catalog exhibit. 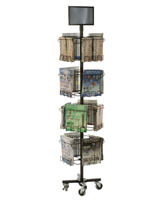 15.4" x 56.0" x 15.4"
9.5" x 9.0" x 1.5"
15.4" x 4.8" x 15.4"